Hello everybody! I hope you guys are well. 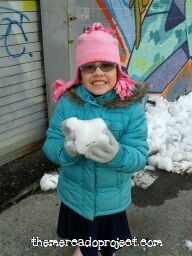 Yesterday, on the way home from school my daughter finally had a chance to play with snow. It was melting fast and people had already shoveled it to the side, but she was able to make several snowballs and tossed them here and there. As you can see, she was pretty happy! 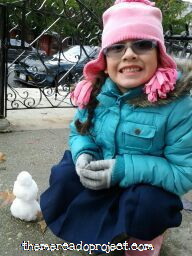 We even made a tiny snowman! Along the way we encountered several fallen trees and I QUICKLY took some pictures. 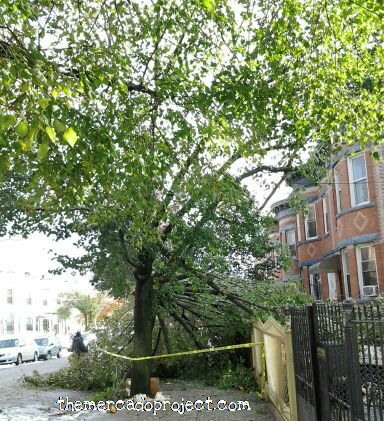 This damaged tree is situated about three blocks from where I live. 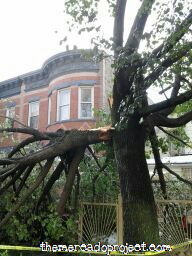 This unfortunate tree is right at the beginning of my block. I live towards the end. 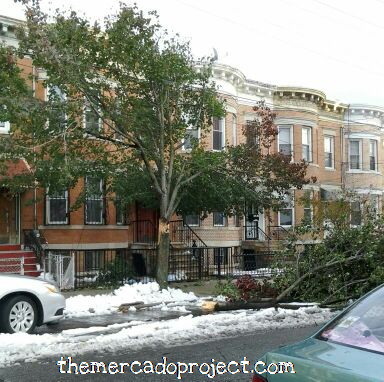 Just around the corner, there was another massive tree that had fallen and landed right in front of the doorway of a private house. I didn’t go take a picture of that one out of respect to the homeowner. It was pretty bad and this morning it was still there. Nature is definitely powerful, frightening, and completely amazing. All the best to those who have to clean up and may they be safe.